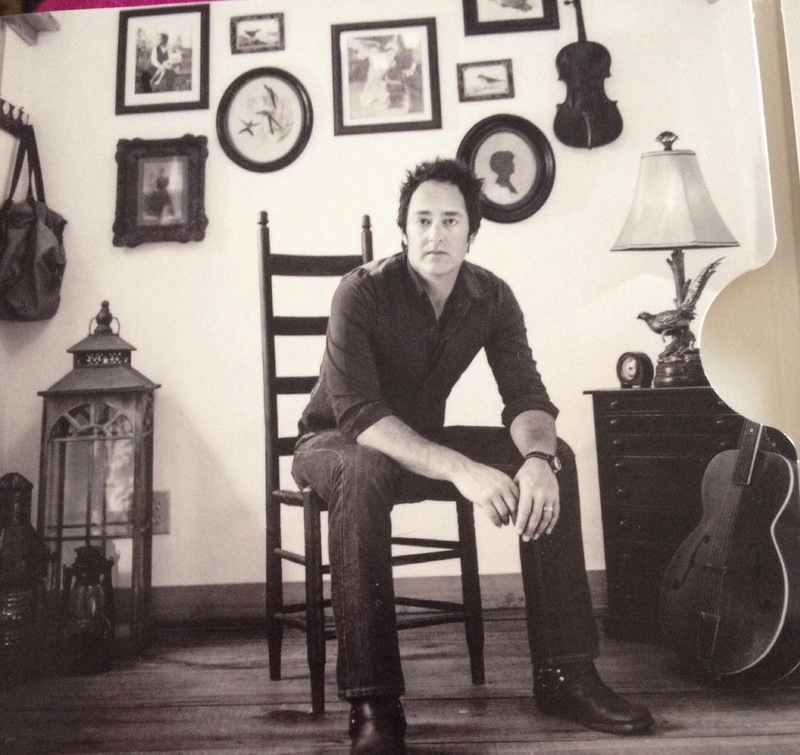 My son, Emerson Hart, released his second solo album today and on the inside cover is a picture of him in his studio in Nashville. On the wall behind my son is his grandfather’s fiddle and a grouping of family pictures, including a silhouette of me when I was about 13 years old. 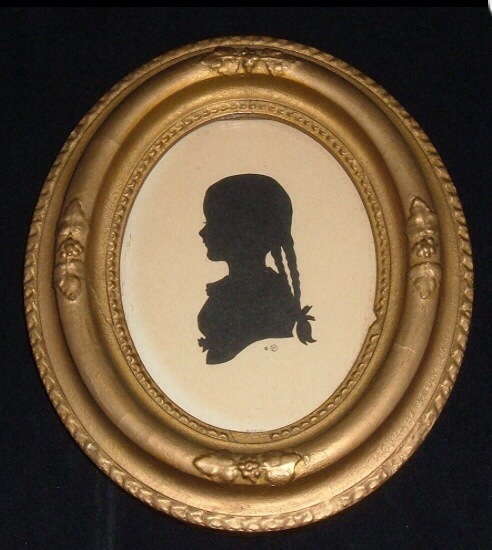 Seeing that silhouette reminded me of an event relating to my short hair in that period of my life. I was twelve and I had never had my hair cut. Ever. Except I did have bangs, but that was the only part of my wild flaxen locks that were ever touched. And to me that really didn’t count. I couldn’t wear my hair loose because it was like a big tumble weed on my head it was so thick. So my mother insisted and saw to it that I had braids for what seemed to me to be—-forever. I was a cheer leader at Roosevelt School on LaBelle View in an industrial town on the Ohio River and in the sixth grade. To be a cheer leader for all of us girls chosen was really a big deal. But for me it was just the opposite. Almost an embarrassment. I had to suffer the humiliation of those braids when all my girlfriends had short hair. On Saturday nights I would hang out with my girlfriends who would wrap strands of hair into pin curls fastened with bobby pins like the grown up girls did. And I envied them for having mothers that understood. But no matter how much I begged, my mother stood her ground and refused to budge regarding my golden braids – until her patience with my pleading wore thin when I was twelve. She went upstairs and got her big sewing scissors and with one final cut to each braid severed them from my head. Wack. Wack. Just like that. Then she sent me next door to my Aunt Dorothy who did hair from her house, to try to make something of what was left of my hair. Needless to say, that wasn’t easy. I really should have been traumatized by the harsh and finality of my mother’s chopping off my braids, But at the time I was so relieved from not having those braids anymore, that I didn’t have any thoughts about what my mother did and how she went about it. It just was what it was and I grew into a teenager inside of myself instantly once those those appendages were removed from my head. Kind of a free-at-last . But it wasn’t until forty five years later when my mother died and I was going through her things did I remember about those braids. It is true that we never know what is in someone’s heart, a lesson I learned too late in my relationship with my mother. I loved her very much, but sadly, I never understood how painful it must have been for her to cut from her daughter what she never had. There, in a long faded blue box that probably once held a necklace were my two golden braids-remarkably intact with the rubber bands still securing the silky curled ends. My uncontrollable memory tail has lashed me about recently, taking me to places I would rather not go. First, the mixed circumstances of joy in reconnecting with a cousin and of sorrow whipping me backward in dealing with the memory of her mother, my famous cousin Carolyn and her illness-which in turn, re stimulated memories of my late husband, Jennings, and his struggles with schizophrenia. Then this morning on CBS’s Sunday Morning, out of the blue, I was again swished back to a painful time in my young life. Michael Rockefeller. I met Michael through my classmate and eventual apartment roommate, Patricia White. She, Michael, Mimi Kellogg and a few others and I would get together the next few years on occasions at parties, either at our apartment or other social events. We were young and all full of life and youthful expectations. All except me, were raised in a social bubble of great material comfort and equally great expectations. I was the anomaly in the group with my Midwestern middle class upbringing. Yet we were all alike in that few of us had experienced great personal losses beyond our grandparents or older relatives. We were invincible with miles of living ahead of us. That is, until Michael. 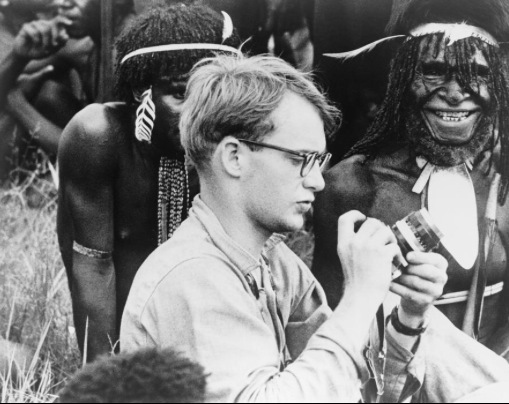 Michael Rockefeller, just a year or two older than I, disappeared and was presumed to have died November 17, 1961. He was the youngest son of New York Governor (later Vice President) Nelson Rockefeller and a fourth generation member of the Rockefeller family. Our friend disappeared during an expedition in the Asmat region of southwestern Netherlands New Guinea. At the time we were told that he was believed to have drowned and they never were able to find his body. That was all we knew then. We were shocked and it took so long to accept we would never see him again. It was hard to accept that our intelligent, enthusiastic and sometimes funny friend was gone. In 2014, Carl Hoffman published a book that went into detail about the inquest into his killing, in which villagers and tribal elders admit to Rockefeller being killed after he swam to shore in 1961. 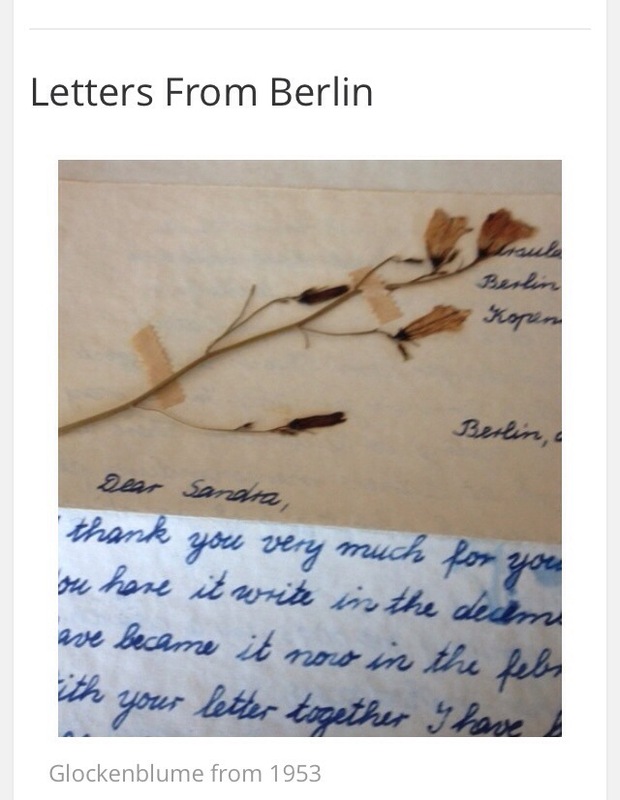 Recently I have reconnected with a cousin who has opened the box of memories of my life with her mother and my early years in New York City. She has taken me back to earlier times and memories of good friends. 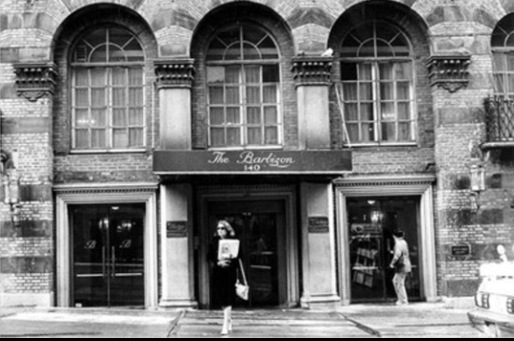 Strange how I remember so much about my life in New York and living at the Barbizon Hotel for women, but for the life of me, I can’t even envision what the lobby of that hotel looked like. I close my eyes and try to take myself back, but it has no memory photo shot of the space I walked in and out of for a year. Nothing. A total blank. Pale overly thin models walked about, in and out with their black portfolios, I remember that, but I don’t even have a clue to what that space looked like. 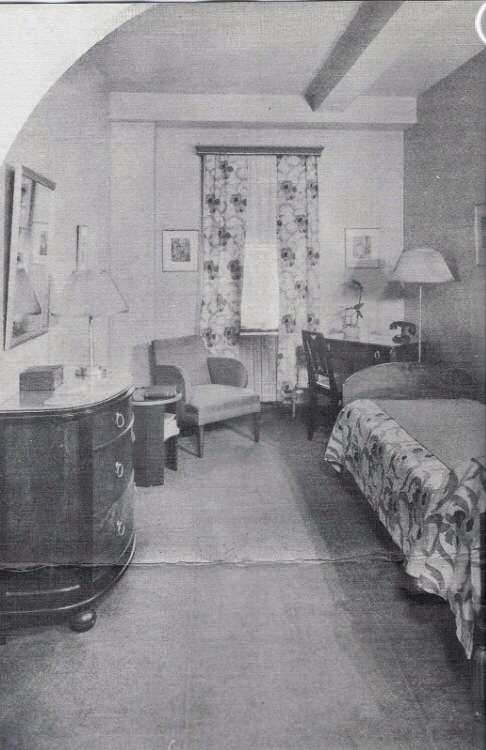 I remember my room in great detail. Actually, not hard because the room was just a bit wider than I was tall and not much longer. One window overlooking Lexington Avenue, a single bed against the wall and a dresser on the other that I probably could access from my bed it was so close. A sink and small closet at the end of the bed. The showers and facilities were down the hall. Basically it was my expensive closet my parents paid for so that I had secure living in New York while attending the Katherine Gibbs School on Park Avenue. But I was not alone. That’s the way we all lived. My room was not unique. Nancy DuPont, my neighbor, Alice Blair, from Los Angeles down the hall and close by to Lynn’s room, (MCA Lew Wasserman’s daughter). They were all the same. Glorified closets. Alice would get visits from home, her mother, and high school classmates including Nora Ephron but, for me, other than my parents once, the only other visitor I had now and then was my older cousin, Carolyn, who grew up next door to me in Steubenville. Without notice she would appear. Carolyn lived at The Barbizon when she came to New York from Ohio and was first a Conover model and then signed with the prestigious Ford Agency. So, in my eyes, she was always the celebrity in our family. I always felt special when she came. Never a hair out of place and always dressed to perfection. She made elegance look so easy. I just remember that Carolyn was so beautiful and how important she made me feel with each visit. But looking back I now realize those visits were in between times for her. She was on her way to somewhere and needed to fill those empty minutes. Why not at the place with which she had comfortable memories and a relationship. At The Barbizon with her little cousin from Steubenville. 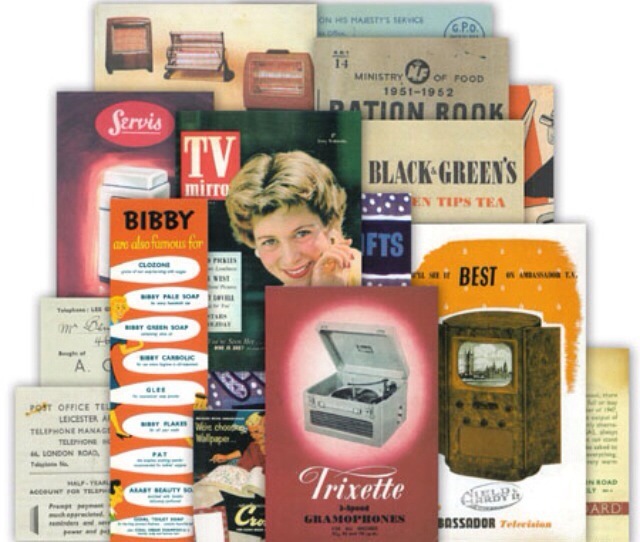 Over five decades have now passed for all of those mentioned in my Barbizon memory box. Each would have a story, yet unfolded, yet unscripted in that year of 1960. I have often thought if I could, if it were possible, would I want to know my future? My answer is always the same. If I had known then all that I and the characters in my Barbizon life would go through after leaving that hotel, I may not have left. I, for one, certainly have had my struggles as chronicled in my writings. Alice has had a wonderful life, but also with a few hiccups along the way. 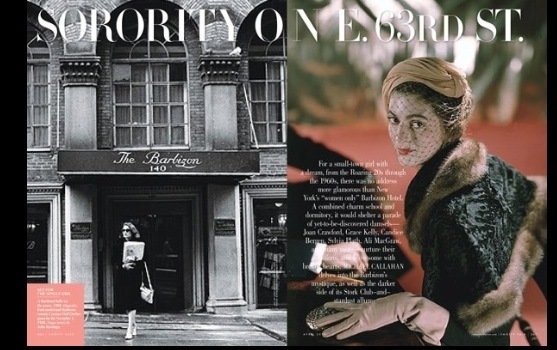 Carolyn was eventually diagnosed with paranoid schizophrenia and her glamorous life evaporated. Her mystic unveiled to the world by the worst human betrayal possible-and her life ending in poverty and pain. Nora Ephron received such great heights with her talent that was cut short too soon. All things to come in the future that perhaps had we known would have paralyzed us from going forward with our unthetered souls and hopeful plans. My husband and I have often talked about our childhoods and about our years growing up and we both have come to the same conclusion. We had, in our opinions, the ‘luck of the draw’ to be born and live through the best years so far in our American history. Who knew?! The wings of Capitol Airlines were carrying me far away from the mundane existence in the steel town where I grew up. I was eighteen and I was never coming back. I was free. At last! Free to live my own dreams, on my own terms. I never wanted to think of those fourteen wasted years of my life in Ohio again. Youth. Oh my. Youth! Such hubris. How could I have known then that those early formative years on my grandfather’s farm in Bloomingdale and later, the good fortune to live and be educated among an ethnically diversified community like the steel town of Steubenville, Ohio during the 40’s and 50’s would, in hindsight, be the best thing that could have ever happened to me. I grew up having no fears. I can’t remember ever being afraid of anything, except maybe disobeying my parents. We never locked our shiny new blue Plymouth in the garage out back. Not even when good times brought a powder blue Cadillac convertible in its place. I knew the front door would always be unlocked when I arrived home from the YMCA Swing Haven at night and I easily traveled by myself everywhere on the bus at all hours and walked the two blocks from the bus stop to my home. I felt safe. I was safe. Our neighbor’s doors were always open to all and it seemed we were always either delivering or on the receiving end of casserole and cake exchanges from one to the other. We genuinely cared about one another. Neighbors were extended family in our blue collar neighborhood. If ever needed, help was just next door at the neighbors house. High school jobs were easily found for us. My first was in Denmark’s, a family owned department store, where the owner knew my name. I started at Christmas as a wrapper and worked my way up to sales in lingerie. Customers didn’t seem to be agitated during the long wait for the canister carrying their money being sucked up the vacuum tube to accounting and back again with their receipt and correct change. People had patience. We all seemed to take life in stride. Our high school had our great football team and marching band that gave our town additional purpose and pride beyond the fact that we produced steel that was helping rebuild the country. We didn’t have to worry about drugs back then. The worst worry for us girls was not having a date to the prom because we had to wait to be asked. The worst whispers were about the boys and ‘wild girls’ who would go to the coal pits outside of town to smoke cigarettes, drink beer and fool around or the girls that would go to “visit” their out-of-town relatives for nine months. We studied, jitterbugged, ate square pizza and Coke, went to the drive-in and necked and had swirled ice cream with the curl on top at the local Dairy Queen and watched Ed Sullivan on our RCA televisions Sunday nights with our families. Our parents earned a good living and were prosperous. They had hopes for the future. We as teenagers never had any doubts that we could reach and achieve our dreams. The world was ours if we were willing to work for it. And the reality of it is, it was all true. Our generation was afforded the best environment for achieving and witnessing the greatness of the American people and their dreams. We were a town of all nationalities, all colors and I never thought or was taught there were any differences between us. I do believe, though, that our diverse community along the Ohio River was not unique. It was a softer and more gentle time of hope for the future in America. No one thought that it would disappear. Not here. How were any of us to know we were so very fortunate living in those special times and that this recipe for living would never be duplicated ever again. Posted on March 5, 2014 March 5, 2014 Categories childhood memories, Over age fiftyTags 1950's, driveins, easy living, football, ohio, pot WW II years, Steubenville, teenage life4 Comments on Who Knew? The further we get from our past, the kinder and more forgiving we become of our memories. Haven’t you had someone pass from your life, that has either moved on or really moved on from this earthly life? Looking back on that relationship isn’t it easier to see both sides and be more forgiving now that enough time has passed to retain more of the good memories involved in that relationship than the bad? I loved my mother. I left home when I was eighteen to attend college , and although I never lived at home again, Mother was the constant force that kept me moving forward in my life, no matter how many miles separated us, or how hard my circumstances became. She was always my best cheerleader. In my heart, she was always someone I wanted to emulate. She pushed me to audition for Romper Room when I had little or none of the required background that the other’s seeking the job had. She had a ‘feeling’ about the man I married, yet when he was diagnosed with schizophrenia, she was there emotionally, a pillar of support when I thought I would not survive mentally or financially through it all. My mother walked through the fire with me. She was my rock. And it was this super strength and will that allowed her to love me unconditionally. No matter what stresses I brought into her life, she never abandoned me. And never a day goes by, that I don’t think if her and wish I could pick up the phone to hear her assuring voice again. Studies reveal that as we get older our personality traits become more pronounced. 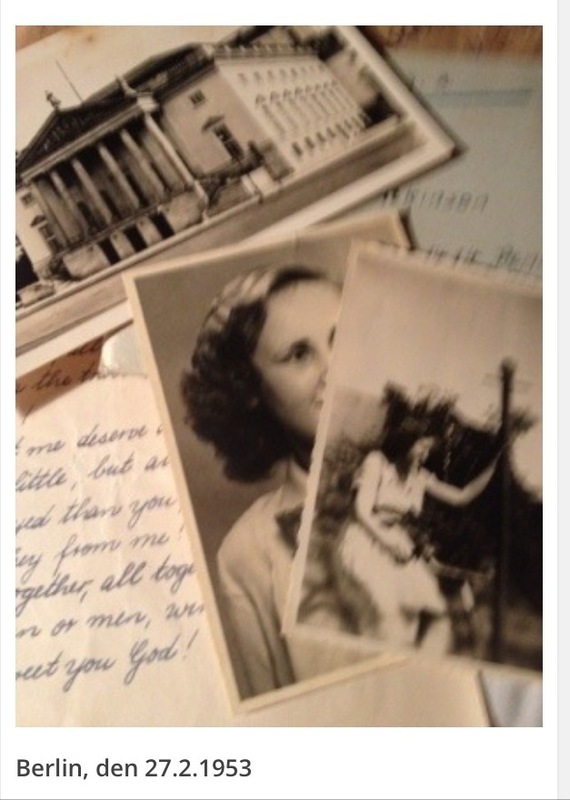 Because I left home at such an early age, the impressions I had of my mother were established through immature eyes. And until I brought her to live with me after my father died in 1987 that is the unrealistic image I had of her. 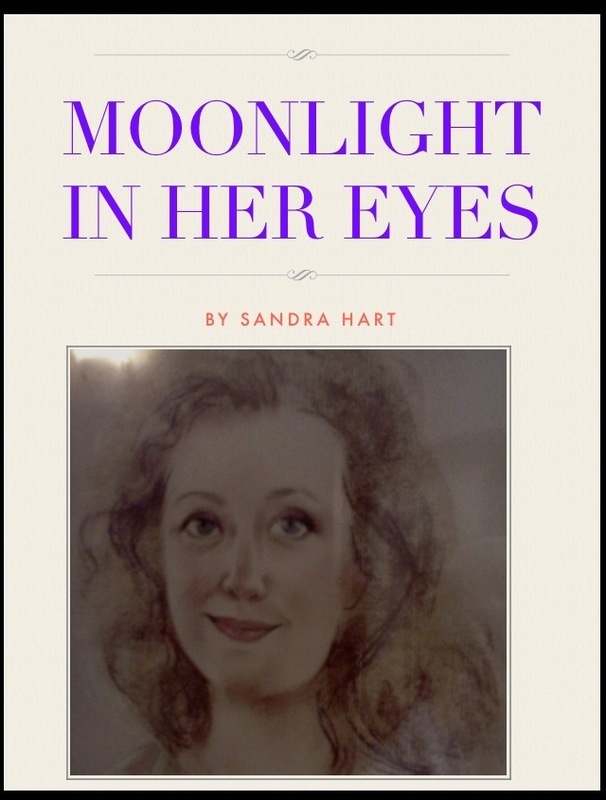 But it did not take me long to be able to see my mother within an adult’s perspective. I soon came to realize that Mother’s strength actually was a form of control over everything in her environment. As a child, I welcomed the attention, but in my 50’s I needed to breathe on my own. My childlike view that Mother was a saint and could do wrong would slowly erode throughout our remaining years together. Little things like hiding candy under her chair so she wouldn’t have to share, I attributed to her life as one of ten children where sharing would have left little for her. That never really bothered me, but her strong will finally became quite problematic when she stubbornly refused to give up driving even after mistaking the gas peddle for the brake causing her to break through my double front gates and land in the middle of my side lawn closest to the ocean cliff. She was late for a ride to a wedding, so she walked away leaving the car with its wheels dug into the dirt of what remained of my torn up lawn. A wonderful present for me when I arrived home from New York two days later. Somehow she ‘forgot’ to tell me before I came home. Mother had a mild stroke later that year and under doctor ‘s orders, she entered a rehabilitation facility for physical therapy after that stroke. This was only temporary, but one would think we had sent her to Siberia. What was I thinking! Had I been clairvoyant I would have prepared myself for what followed. Just three days into her stay at the facility, I got a call in New York close to midnight from the center saying my mother was missing. My husband an I jumped into the car and sped through Lincoln Tunnel back to New Jersey. I was a wreck, thinking the worst. Well, we finally found her. There she was, nestled cozily back at my house, looking so innocent. She had talked a friend into taking her out on the guise that she would be returning. But, in the end, I really should have known better to think she would stay there, because she pulled that stunt once more a few weeks later. She remained totally defiant until we decided to let her do what she was determined to do, forget rehab, and remain master of her own fate. I was not strong enough to go against her, but I knew we had to somehow make her life safer. Whether she liked it or not. She had to accept that living alone in my big remote house was not good nor the best lifestyle for her. The only thing we could do to keep her somewhat independent was to move her down the hill into our small borough where she would have neighbors to check on her and walking ability to all of the comforts of her day. That was the only concession she allowed me, but I don’t think she ever forgave me, either. And on top of that, made sure she told the world how her daughter had betrayed her. Mother died two years later of another stroke, but she left me, the way she wanted. Living on her own terms. She asked her nurse for her lipstick. Then, a force greater than her’s came and she slipped off quickly and quietly. In the end, Mother was in control as much as she could ever be facing the unknown powers greater than herself. And I was left with an overpowering, overwhelming loss. Loss of her, her touch, of her strength. My having to let go of my childhood vision of who she was, was a hard revelation. Probably the hardest lesson I had to learn. I was faced with the reality that she was indeed only human after all. I have such vivid memories of my childhood that have remained with me throughout my life. I never thought it was unusual, pondering events of a life lived, and to be honest, as a writer, I have often found a certain degree of comfort reconciling my days here through those memories. Sometimes I think it is as though our lives have been a movie in which we are the spectator. The bed was so big my brother and I could stretch out our arms and only our fingertips would touch. The lights were on, but I was scared. My parents were hurrying to pull down the long dark blinds to cover the high windows in our bedroom because the sirens started to blare outside breaking the silence of evening. The noise was deafening and was coming in waves, over and over again. Then, when I wanted the safety of the night lights, my mother shut the switch. We were swallowed up. Darkest of darkness. My brother and I lay there in that black hole, sheets over our heads, with the sirens wailing in waves and I shook. I shook in fear of what it could be. I had seen those awful scary pictures of war in the movies about the bombs and broken houses like ours. My brother and I knew this was an air raid because we had been through them before, but each time our fears were real. Maybe this time. Maybe this time real bombs were coming. To this day, I remember the fear. I can still hear those sirens. And I still remember my relief when after the sirens stopped nothing happened to us. We weren’t dead. In conversations I have had with my older brother throughout the years about our childhood, he remembers very little. He, for some reason, has scant recall of our lives as children. Was it so unimportant that he walked through our past without holding on to it as I did? Or is his mathematical mind wired differently than my creative one? I have always been highly sensitive and aware of my surroundings. Sherman always seemed absent. So smart. There, but not. Sherman’s one standout memory of our childhood in Washingon is of when the large cement urn at the top of our outside steps crumbled and fell, pinning his leg, the inner steel stake plunging through his calf. A traumatic incident that left a permanent scar and for some reason his recollections are only made of this one terrible event. Perhaps this is Sherman’s emotional event that allowed his short term childhood memory to transfer to his long term memory. Dr. Rudolph Tanzi, co-author of Super Brain, tells us that within our hippocampus in our brain our short term memory attaches it to something emotional so that it will transfer to long term memory. But where all of these memories are stored we don’t know. The neuroscientists don’t know either. Not yet anyway. On the other hand, Deepak Chopra, the author and holistic/New Age guru, takes the Eastern view that they are stored in the soul. Whichever theory you want to believe, since we really don’t know, one truth we all can agree upon is that we each store memories that are our own. So when the sirens stopped and the war was over, my brother and I got our own beds and I traveled unknowingly alone with my memories.